Contemporary look is the look of the season and is simply liked by everyone and for every part of the house. The study room too is not spared for this liking and this one is just a perfect design to be liked by all. 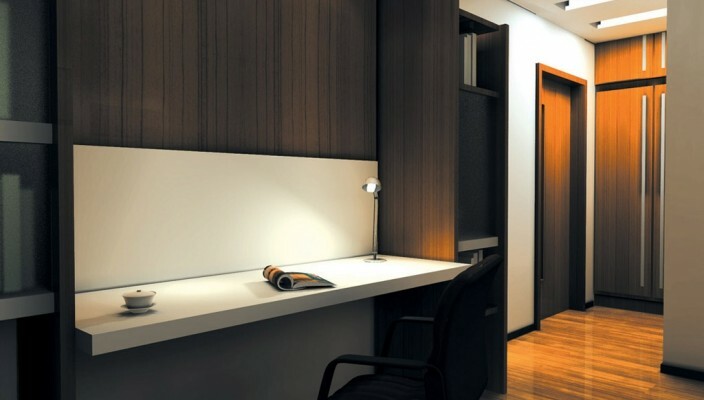 Apart from studies, a study room is also required while reading and doing office work, the design of the study room should be such that it increases the concentration and focus of the person in the study. This contemporary look of the room will for sure give a spark to the reader in the room and will keep their focus for long. The room is beautiful with an ethnic touch. The lighting is spectacular which makes the room best suited to be used at any time of the day. The dark wooden color of the study furniture is just the right choice as per the theme of the study room.